RENUA LEADER LUCINDA Creighton has hit out about a complaint made about her to the Standards In Public Office Commission (SIPO). This follows a report in today’s Sunday Independent newspaper that a complaint was submitted anonymously to the body on 5 February. The complaint relates to a ‘benefit in kind’ that the Renua leader allegedly received. A complaint relating to the same matter was rejected by the commission last year. In a strongly worded statement this morning, Creighton said that the use of an anonymous complaint as part of “a political dirty tricks campaign” is “particularly troubling”. “The importance of creating a culture of ethics in a country whose people have suffered heavily because of a culture of bad politics means any attempt to use SIPO as a political pawn by a party or individual is an act of corruption. Anonymity is a privilege not a right. The Dublin Bay South candidate also called for anyone who has any information about whether this is a planned campaign to come forward and “swiftly inform the authorities”. The newspaper has reported that the case is set to be discussed by SIPO at its next meeting in March. 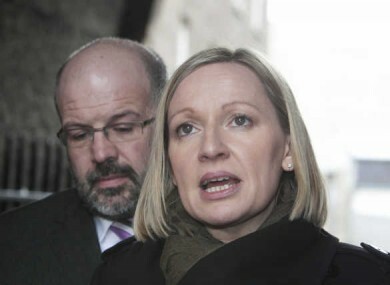 Email “Lucinda Creighton hits out over standards in public office complaint ”. Feedback on “Lucinda Creighton hits out over standards in public office complaint ”.